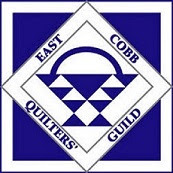 For information on the Misty Mountain Quilters' Guild's upcoming quilt show, see the QuiltFest 2019 page on this site. Quilt Entry for the 2019 Georgia Celebrates Quilts® is open through March 29th! We want all kinds of quilts – simple and complicated, traditional and contemporary, art quilts and reproductions. Whether you have been quilting for years or you are new to the craft, enter your quilts in the largest quilt show in Georgia and share them with us! Step 1 – Read the Rules of Entry for basic information and timetables. Step 2 – Decide which Category best fits your quilt. Step 3 – Photograph your quilt, consulting our ABCs of Photographing Your Quilt and FAQ – Photo File Size and Uploading. Step 4 – Use the online Quilt Entry form, submitting all the information about your quilt and your photos. There is also a printable Entry Form that can be mailed in with photos attached. We can’t wait to see your quilts. Please contact Carolyn Powers with any questions about Quilt Entry. Stay informed and share the fun! * ECQG will never share or sell your email address.